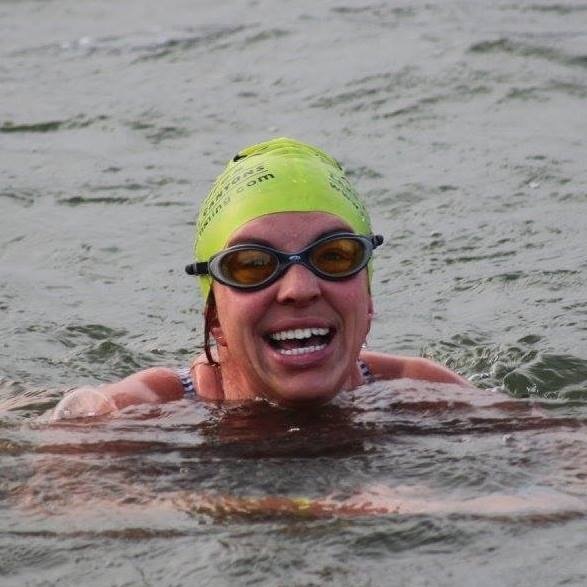 I started winter swimming in 2013 after doing a couple of 10k swims and wondering what other challenges I could try. I did the 450m race in the 2014 Chillswim having done my qualifier on New Years day. I loved it, the atmosphere, the fellow swimmers. It was then that I heard about the Ice mile but thought it sounded too hard for me. In 2015 I did both the 450m and 1k races at the Chillswim. I was so pleased with how well I did that I wondered if I could do an Ice Mile. In late February 2015 I stood on the side of a lake only for the temperature to turn out to be 5.2. I spent the rest of 2015 obsessing about becoming an Ice miler only for November and December to prove to be the mildest for years. On 8 January 2016 started an absolutely fantastic week and a bit in which I represented team GB in the German Ice swimming open in Burghausen and finishing with finally swimming my Ice mile. February will hopefully hold even more fun with the Chillswim and the IISA British open……….. The Ice came early to Harthill in late 2016 with the water temp dropping below 5 and giving me the chance to check I cold still do an Ice mile. 2017 started in a whirlwind of events – Aquasphere world champs, The Irish champs in Armagh, the 5th Eastern bay invitational Ice mile and the British champs. Must be time for a break !